DO I HAVE TO REPLACE MY BREAST IMPLANTS EVERY TEN YEARS? As an Orange County Plastic Surgeon, I am asked this question frequently. It is time to put this myth to death! 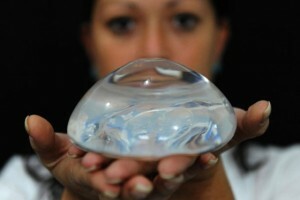 Consider me the breast implant “myth busters”! I am not sure how the facts became twisted, but here is the truth. If you have had a breast augmentation with or without a lift in the past 8 years and the implant was made by either Mentor or Allergan (formerly called McGhan), there is a LIFE TIME warranty on the implant if a leak occurs. Up to ten years from the time of surgery, both companies will also pay towards the cost of the procedure. Currently, there are two warranties for saline implants: standard and extended. The standard warranty will cover up to $1200 towards the cost of the procedure. The coverage increases to $2400 for the extended warranty. For silicone implants, the most recent warranty is $3500. After ten years, both companies will NOT cover any costs related to the procedure. If your implant is more than 7 years old, it’s best to contact the company and confirm the terms of the warranty, as it may have been different. I hope this clarifies any confusion regarding the ten year replacement fear. If your implants are soft and look and feel natural, and there are no medical conditions such as breast cancer, leave those implants alone! I also want to emphasize the importance of asking for your implant warranty card after your surgery. Most reliable surgery centers place the implant serial number and volume on the card and it should be given to the patient before discharge. I do keep track of all this information as well. However, some surgeons don’t. If your implant should deflate at any time, having your implant information will make it much easier for the surgeon to find the correct replacement. PreviousPrevious post:CAN LIPOSUCTION BE PERFORMED UNDER LOCAL ANESTHESIA (WITHOUT GENERAL ANESTHESIA)?NextNext post:HOW SAFE IS OUTPATIENT COSMETIC/PLASTIC SURGERY UNDER GENERAL ANESTHESIA?